09/18/18 — Released Paternity Leave and What's the Matter with Gerald? 09/18/18 — Released Hillsong Kids: Can You Believe It? 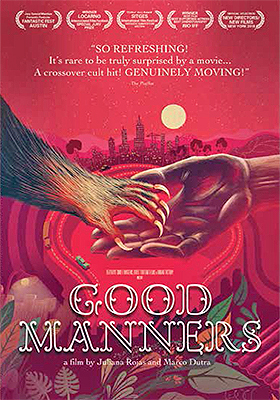 Icarus Films and France’s Distrib Films will be teaming up on Nov. 13 for the domestic DVD debut of the Brazilian filmmaking team of Marco Dutra and Juliana Rojas’ werewolf tale, Good Manners. You read that right Distrib Films, the premiere source for French-language feature films in the domestic market through its exclusive home entertainment distribution agreement with Icarus Films, is expanding it’s reach to other corners of the world! The first of these acquisitions is a monster — a monster in more ways than one! Good Manners has been working the international film festival circuit since its debut at the Locarno Film Festival in Switzerland in August of last year and the results have been impressive. The reviews and critical buzz were equally impressive. The film has taken in a “monster” haul of awards, including Best Picture laurels in its native country when it stole the show at the 2017 Rio de Janeiro International Film Festival with six wins, including Best Picture. 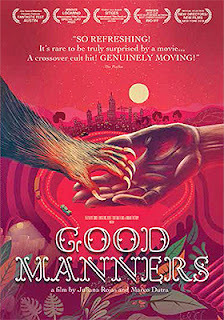 In neighboring Argentina, at the Buenos Aires International Festival of Independent Cinema, Good Manners was also Best Picture. It’s a long list. The film had a limited arthouse run in late July (just four major metro screens), which yields an ARR of 109 days. Which brings us to the other “monster” aspect of the film as the storyline plays out as both a traditional werewolf film and as a metaphor on income, class and privilege in contemporary Brazilian society. In São Paulo we are introduced to Ana (Marjorie Estiano — Under Pressure, The Life We Lead), a young woman of means who is very much pregnant. And therein lies the problem, her well-off family is not pleased with either her condition or how it came about and has banished her to the city. We also meet Clara (Isabél Zuaa — Joaquim), a Portuguese-speaking woman of color (likely of Angolan origins), who has come to Ana’s apartment to interview for a job. Despite a serious lack of pre-natal care credentials, Ana takes a liking to her and Clara is hired. It is good news for her as she is behind in her rent and one step away from living on the streets. Clara is also wise to Ana, and suspects that she sees in her more than just that of a care-giver, but a “domestic” as well. Despite her initial pushback against such activities as cleaning, shopping and cooking, Clara eventually comes around and becomes more than Ana’s caregiver. Indeed, they strike up more than a friendship and become intimate. Perhaps it was Clara’s exotic nature that attracted Ana to her, rather than her skill-set. That aspect will have to forever remain a mystery as filmmakers Marco Dutra and Juliana Rojas switch gears about mid-point in the proceedings and we quickly learn the source of Ana’s condition, her lust for meat, her strange behavior (and seemingly possessed behavior … this is a tough pregnancy, indeed) and suddenly that’s it for Ana. The beast is born and eviscerates Ana in the process, with Clara left to deal with the “bundle of joy.” Horrified, but still with feelings for Ana, she puts aside her initial desire to dispose of the creature and reluctantly takes on the role of its mother and protector. Jump ahead seven years and Clara and little Joel (played by newcomer Miguel Lobo … we think that the child actor playing the part of Joel has been given a stage name as “Mike Wolf” just seems too convenient) are doing just fine. Except, that is, during the cycle of the full moon, when the little guy has to set aside schoolwork and playtime to be chained up for his own good … and that of the neighbors!! 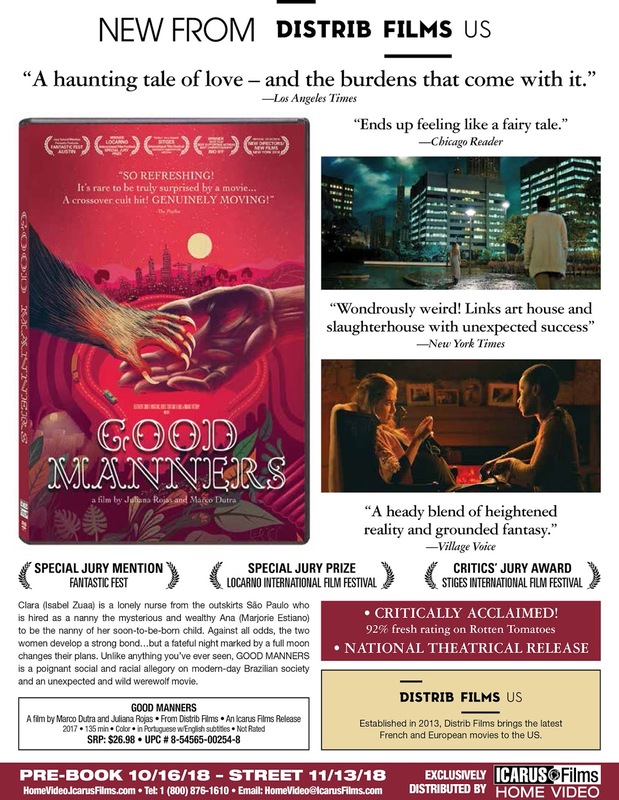 Good Manners is a well-made and well-structured film that comes full circle with a nice closing twist! Little Joel has been carefully raised by Clara as a vegetarian, who attends to his dietary needs and monthly cycles of “unrest.” But the outside world has a way of intruding, even with the best of intentions, to upset the apple cart. Metaphorically-speaking that is!! Good Manners is presented in Portuguese with English subtitles. 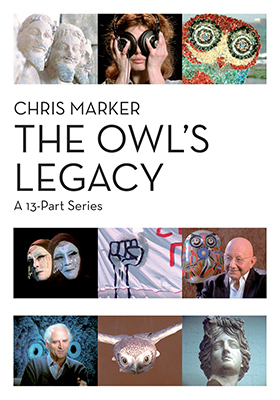 Also on the new-to-DVD release calendar from Icarus films on Nov. 13 is a fully-restored, double-disc presentation of iconic French filmmaker Chris Marker’s 13-part intellectual series titled The Owl’s Legacy. Thirteen words from the Greek language — most of which we take for granted and have little regard for their root origin — are discussed, over wine, as both their source meaning and contemporary understanding. Examples being: “Music,” “Philosophy,” “Mathematics” and “Tragedy” … all Greek in origin. This 1990 series has been newly restored by the Cinémathèque Française and is being made available for the first time on DVD in the United States by Icarus Film. The Owl’s Legacy is presented in French, German and English, with English subtitles when necessary.